Basin Sports is the oldest business in the Killington community. In fact, Basin Ski Shop opened 10 days before Killington Ski Resort, on December 14, 1958. 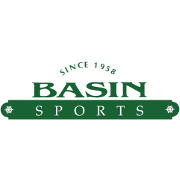 For more than fifty years Basin Sports has been a leading mountain sports retailer with a long history of outstanding customer service. Free In-Store Pickup: If you’re looking for a secure place to ship your purchase on evo.com, or need additional service, local knowledge, or just a place to go talk about your favorite activities, then we’re proud to partner with Basin Sports and know that they’ll take care of you when you visit. If choosing to ship to Basin Sports, you will receive an email when your order is ready for pick up. Orders will be held for 30 days unless additional time is requested. When picking up orders, please bring your order number, and a photo ID.